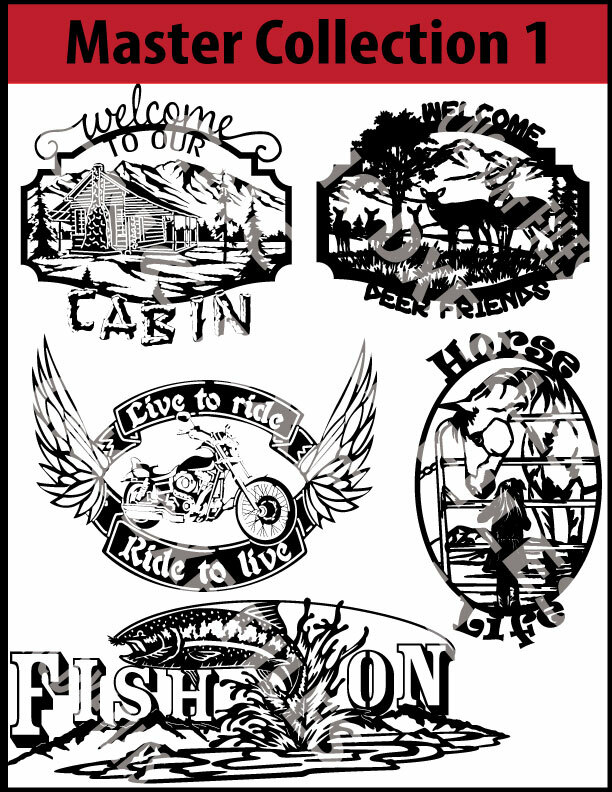 This product kit of Mailbox Toppers includes 18 individual designs that are ready to be cut with your CNC cutting system. 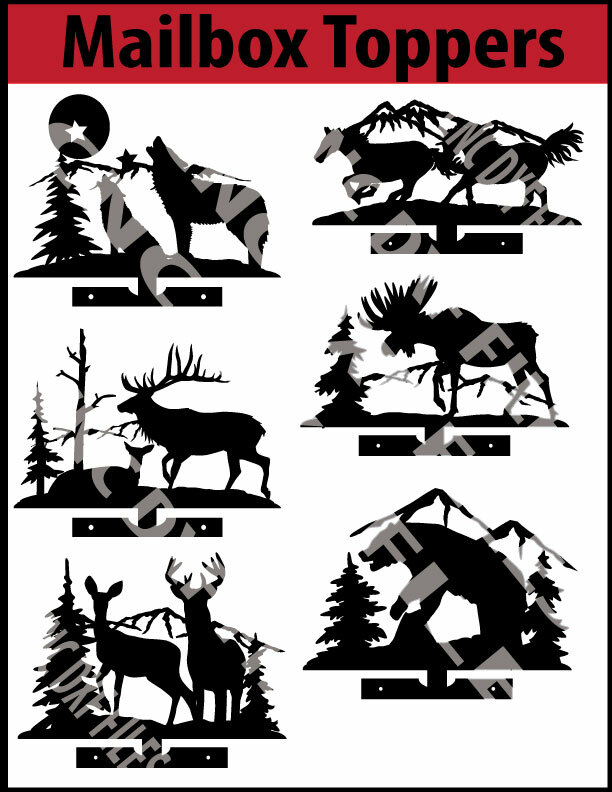 These designs are designed to be cut and mounted on top of mailboxes. You will need to bend the bottom of the design at a 90 degree angle so that screws can then be used to secure the design work to the mailbox. Designs are compatible with CNC plasma, waterjet, laser and routing/engraving systems. Design work sized to be approximately 14″wide x 10″ tall. All designs are easily scalable and will import directly into most CAD and CAM based programs for easy editing.